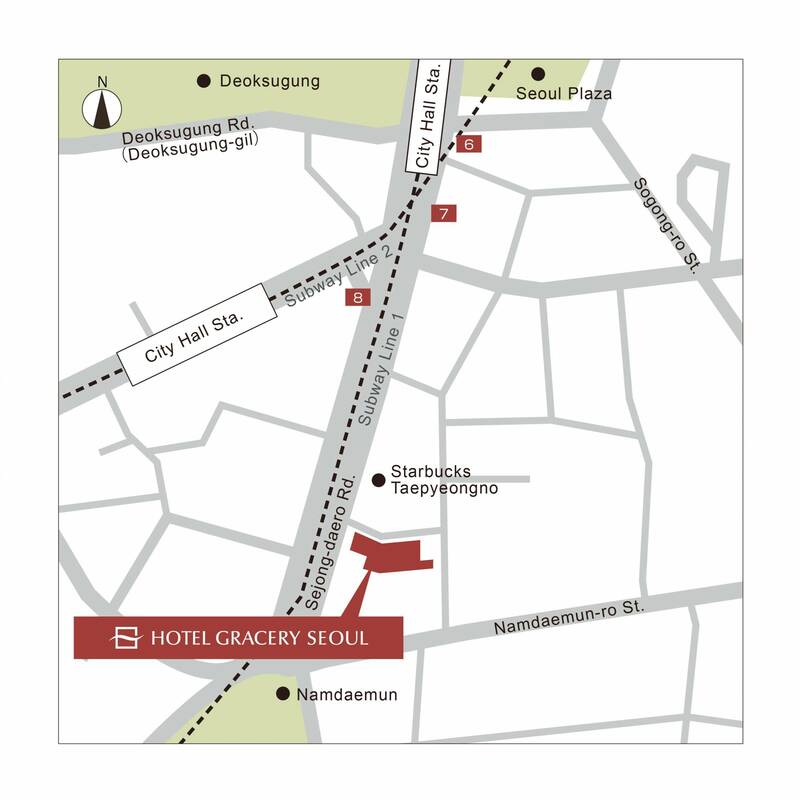 HotelGracery Seoul is located in the Namdaemun area of Myeongdong, Seoul—a popular destination for tourists from Japan. Near the hotel are many 24-hour eateries frequented by foreign travelers, as well as the “Gourmet Ally” of Bukchang-dong. Located just a 1-minute walk from Namdaemun (the South Great Gate)—the first National Treasure of South Korea—and 3-minutes from Namdaemun Market—the largest conventional market in Korea, Hotel Gracery Seoul offers convenient access to some of Seoul’s most famous tourist spots. The hotel faces Seoul’s main street of Sejong-daero, which leads to Seoul Plaza and Gwanghwamun Gate. Also located nearby is Seoul Station offering rail access to regional day-trip destinations outside the city. About 60% (200) of the hotels 336 rooms are Double Rooms with at least 22 meters square of floor space. Bathrooms with a separate toilet—well-received by many hotel guests—are planned for all rooms, ensuring visitors the best opportunity to relax and enjoy their stay. Various services including tourist information services are also provided at the Front Desk to provide guests with as comfortable a stay as possible.